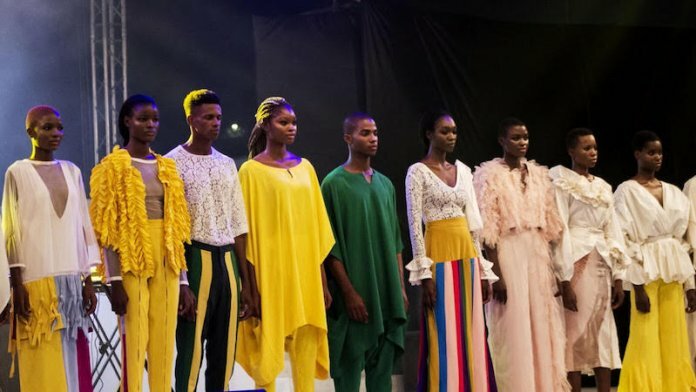 To round off 2018, Nigeria’s largest and leading lifestyle fair “Style by Zenith” took place in Victoria Island, Lagos. The fair was two-day convergence of connoisseurs, vendors and enthusiasts in lifestyle, fashion, entertainment, beauty, automobiles and food industries. Tagged, “Style by Zenith”, it was an initiative to provide a classy meeting point for purveyors of lifestyle products and the public to interact while enjoying life musical performances by top Nigeria artists. It was further aimed at engaging the Nigerian lifestyle ecosystem by connecting consumers to every aspect of quality and affordable living thereby facilitating the growth of individual retail and SME businesses in Nigeria. It featured lifestyle fair, model master class, rock the runway and music concert. Fronted by leading influencers like Alex “Unusual” Asogwa, Denola Grey, Uti Nwachukwu and Steve Chuks who brought on great style to the event, the fair featured masterclasses anchored by TV personality Bonang Matheba; international supermodels Oraine Barrett and Tarmar Awobotu; vendors’ exhibition; runway shows and daily music concerts with performances by Waje, Adekunle Gold, Simi, Mayorkun, Timaya, Kizz Daniel, Wande Coal, 2Baba and Bobby Valentino. The fair had attendees throng the venue in their hundreds and hosted by Mercy Ajisafe, Eku Edewor and Ill Rymz, who all brought on their finesse to make the fair an exhilarating show and a perfect way to shut down the year. Organised by Virtual Xchange Limited, strategic partner, Africa, for international premium fashion, lifestyle and entertainment television network, Fashion One, in partnership with apex financial institution Zenith Bank, the fair has marked the first of many future collaborations between the two iconic brands. Fashion One operates a global lifestyle and entertainment TV network offering a comprehensive coverage of inspirational fashion. For many, the highlights of the fair include the super runway shows walked by only the best of models who strutted their stuff in pieces from hand-picked premium fashion houses; guest appearances from Tobi Bakre, Akin Faminu, Laura Ikeji, Emmanuel Ikubese, Anita Adetoye and the impromptu on-stage dance performance by former Big Brother Naija housemate Alex “Unusual” Asogwa, which sent fans into a frenzy. There was also exhibition of beauty and lifestyle products, accessories, food and confectioneries, entertainment for adults and children as well as performances by top Nigerian artistes among many other activities. Speaking at the event, Chief Executive Officer of Virtual Xchange Limited, Mr. Kaycee Kennedy said the collaboration with Zenith Bank to develop the “Style by Zenith” platform not only emphasises the brand’s resolve to build and strengthen the fashion ecosystem, but to drive the business of fashion in Nigeria. “We need to heed the call to focus on Fashion Trade, by making fashion Africa’s biggest export to the world”, he noted. Hence, the collaboration with Zenith Bank was in keeping with Virtual Xchange and Fashion One’s dedication to creating captivating, fashion, entertainment and lifestyle engagements, towards developing the African fashion and lifestyle industry. “You have a financial institution that is willing to finance the creative industry to provide that platform that will make it possible to educate the people and create a perfect interaction within the industry. We sit in the industry space and they provide the financing and funding. This is not a runway show or fashion. Zenith Bank is getting into a lifestyle. They are looking at the entire lifestyle ecosystem and fashion is a component of that eco-system. Other financial institutions have looked at fashion as a single entity but Zenith Bank is looking at lifestyle ecosystem”, Kennedy said. Kennedy who expressed the hope that the collaboration will bring about development to the business of fashion, added, “it is about time we stopped seeing fashion as entertainment, we need to look at the business of fashion. The Nigerian music today has gone global because somebody provided the platform to take Nigerian music internationally. Having been in the modelling business professionally for 14years, entrepreneur, philanthropist and supermodel, Tarmar Awobotu, who also doubles as Chief Executive Officer of Ice Model Management, a South Africa-based modelling agency, during the model master class spoke extensively on growing one’s career as model. “I give God the glory because in 2005 I was opportune to move out of Nigeria with some other models and that was how I got my break. And I have been with one particular agency for the past 13 years and I can tell you that I am a permanent contract holder and I do not have any regret so far, whatsoever. All of this is to encourage you that whatever you want to do, stay focused”, she noted. Speaking on the challenges faced in the Nigeria modelling industry and what needs to be done to overcome them, she said: “I think agencies should begin to think about the models. Most of them think about themselves and the money that goes into their accounts. They also need to think about the models because some of these models go into modelling because they want to be able to feed their families and do some other things, so they need to push the models as much as possible so that they can get more jobs and make more money”. The international super model from started modelling in Nigeria but at some point moved to South Africa where she is now based. “I am from Ogun State but I am based in South Africa. I schooled here in Nigeria. I actually went to the University of Lagos and I was also modelling as well but when the opportunity to move abroad came, I jumped at it. I was Miss Tourism 2004 and I did so many fashion shows that I can’t even remember and I worked with so many great designers that I still work with up till date”, she disclosed further. Awobotu who despite her international exposure still comes to Nigeria very often to do some jobs, said, ”I started my journey from Nigeria and I will never forget Nigeria, so every October I am in Nigeria for the fashion week”. Awobotu who has ventured into various other things as she grows older in the trade is not in a hurry to abandon her modelling career. “I have already ventured into other businesses but the fact that I’m getting older does not mean I won’t be modelling again. It has always been said that, once a model, forever a model. So even at 90, I am still going to be modelling”, she added while addressing young and aspiring models. The model scored the Style by Zenith fair a hundred per cent, adding that, “there are trying to put Nigeria in the fashion map globally. So whether it is a small or big show, the fact that they are trying in their little way to do this, it is a very good thing”. Ogunbiyi also spoke on the topic, “Monetising Your Career”, during the masterclass. The one onetime beauty queen said being a beauty queen and modelling in 80s was completely different from what is obtainable these days. She noted however that modelling for her was not by choice but by circumstance. “But what came out of it taught me that there was a lot I could do. And that is what I want you to realise when you think about modelling. It is not just about walking the runway and taking photographs. There are other elements of modelling that you make so much money from. I think one thing that is very important is that you must understand the 360 of modelling and which part you fall into. Not everyone has long legs or beautiful skin but there are other areas. You can be a modelling agent, photographer or even a contractor and still follow your passion. So when you think of modelling, you must realise that you don’t need to be a particular stereotype. “There are other areas to explore and the good thing about Style by Zenith is that you don’t necessarily have to be a particular way to excel. Zenith in its wisdom has decided to open the doors for all to come in and see and explore the situation in terms of modelling, partnership and style. So there is room for you to grow in any area you want to but the main thing is your finance. Is your finance well managed? It is very expensive to be a model, so let’s not just look at the beauty of the whole thing, let’s look at practical common sense of modelling and I think that is key”, Ogunbiyi sad. The event also marked the unveiling of ‘The Zenith Model Search’, collaboration between these brands, which promises to spice up the fashion world in 2019.